TCL brand Alcatel launched two smartphones in India – the Alcatel A5 LED, A7. 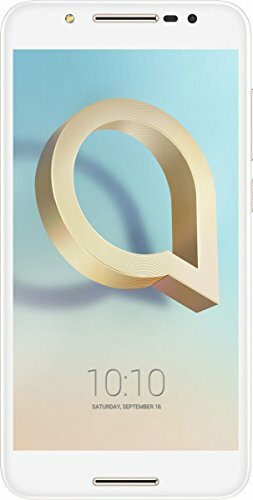 The Alcatel A5 LED price in India is Rs. 12,999, while Alcatel A7 will cost at Rs. 13,999 in India. Both smartphones will be exclusively available via Amazon India, with sales starting from 12:01 pm on Friday, November 10. The Alcatel A5 LED was launched back in February at MWC 2017, while the Alcatel A7 was launched more recently at IFA 2017. The highlight of the former is its modularity – the LED-light flashing back cover can be removed and replaced with other covers, like a battery pack. The latter is a big battery smartphone that’s being touted as a budget multi-tasking and gaming performer. During the launch period, from November 10 to November 13, the Alcatel A5 LED smartphone will be bundled with the 3100mAh free Alcatel Power+ PC01C Back Cover with Built-in Battery in a box, worth Rs. 3,999. The LIGHTUP+ MOD is already included. Also, Reliance Jio is offering up to 20GB additional data free (5GB data for 4 months). The Alcatel A7 smartphone will be bundled with the TCL Move band fitness tracker, worth Rs. 2,499. Common offers for both smartphones include a one-time free screen replacement offer up to 90 days, up to 20GB additional data from Reliance Jio (5GB data for 4 months), exchange offers, and no-cost EMIs. The dual-SIM Alcatel A5 LED runs Android 6.0 Marshmallow, and sports a 5.2-inch HD 720×1280 pixels display. It is powered by a 1.5GHz octa-core MediaTek MT6753 SoC coupled with 3GB of RAM. The phone comes with 16GB of inbuilt storage, expandable via microSD card. The Alcatel A5 LED has a 13-megapixel rear camera with a f/2.0 aperture and dual-tone LED flash, apart from a 5-megapixel camera at the front. Connectivity options include 4G VoLTE, Micro-USB, Wi-Fi b/g/n, GPS, and Bluetooth 4.2. It runs on a 2800mAh battery. It measures 146x72x10mm and weighs 159 grams. 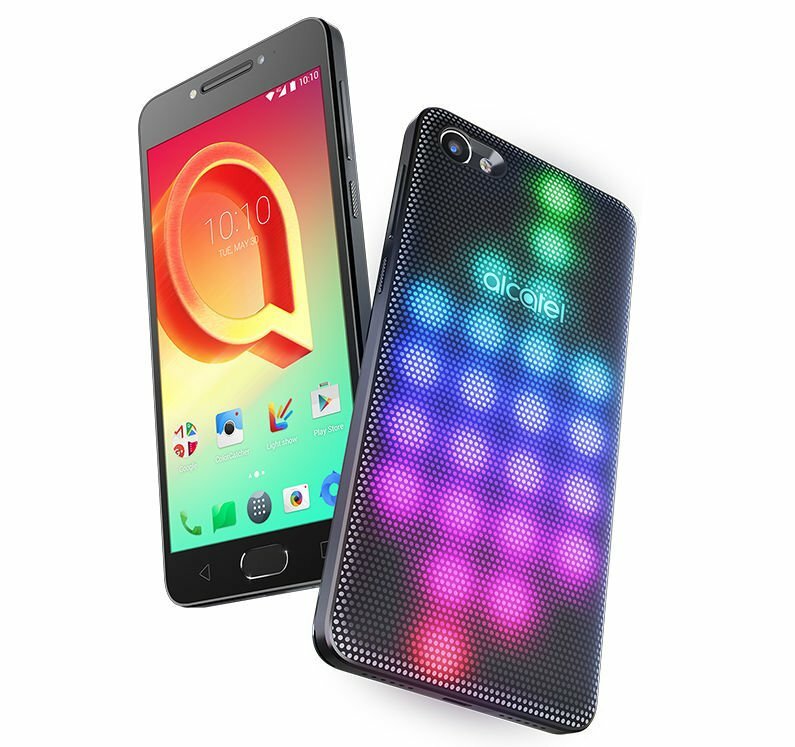 The Alcatel A5 LED will be available in Metallic Silver. 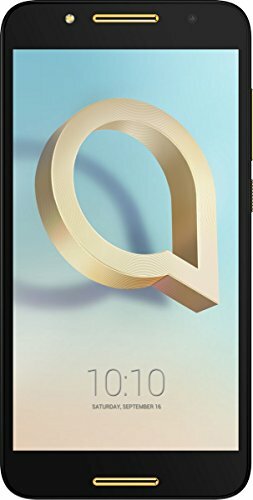 The dual-SIM Alcatel A7 o, on the other hand, runs Android 7.0 Nougat and sports a 5.5-inch full-HD 1080×1920 pixels IPS display. It is powered by an octa-core MediaTek MTK6750T SoC clocked up to 1.5GHz, coupled with 4GB of RAM. For optics, the A7 offers a 16-megapixel with a f/2.0 aperture, PDAF, and a dual-tone flash. On the front, it bears an 8-megapixel camera with an 84-degree wide-angle view and a front flash. It offers 32GB of inbuilt storage, expandable via microSD card. It sports a 4000mAh battery with support for fast charging, while connectivity options include 4G VoLTE, Wi-Fi 802.11 b/g/n, Bluetooth v4.2, Wi-Fi Direct, and NFC. It weighs 163 grams and measures 153x77x9mm. 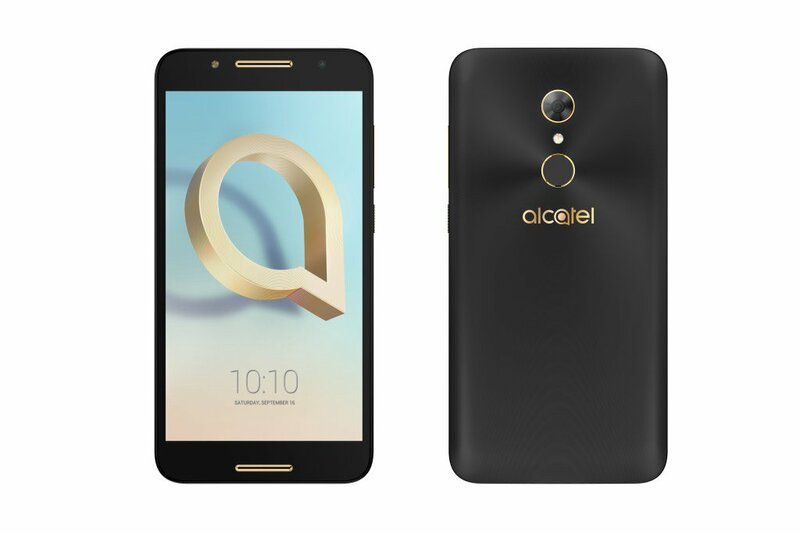 The Alcatel A7 will be available in Metallic Black and Metallic Gold colour variants. The Alcatel A5 LED is a budget phone with a flashing LED back plate that’s designed to attract bargain seekers with a love of disco lighting. Our Early Verdict. The Alcatel A7 is an unremarkable budget smartphone in many respects, but its big screen and even bigger battery will help it stand out from other handsets currently on the market. Alcatel A7 delivers powerful performance. With an octa-core CPU, 3GB RAM and 4G LTE up to CAT 6, you will enjoy a truly zero-lag multimedia experience.